Dr Joanna Hartley has a number of School roles, including TILT BTEC Champions Working Group and TILT CERT Mentor School Lead. Dr Hartley has also been involved in a number of DAG events, across the university campuses and internationally. She also works closely with the Nottingham Trent International College. She has been involved in a number of “student experience” initiatives over the years, including the Computing & Technology Student Ambassador scheme (a pre-cursor to the university CERT Student Mentor scheme) and the introduction of a number of departmental student-centred events, such as the well-established Computing and Technology (C&T) Showcase Event and C&T Degree Show and more recently the C&T Final Year Celebration event. Her ambition is to encourage students from all backgrounds to achieve their own personal goals through academic leadership and personalised support. Dr Hartley has many years of experience as Senior Admissions Tutor for the undergraduate courses in Computing and Technology. Other department roles include membership of a number of school committees - School Academic Standards and Quality Committee (SASQC), Success for All working group, Course Tutorial working group, and until recently the Course Development Review Subcommittee. Dr Hartley has over twenty years of teaching experience. Recently, she has taught the following: Level 5 Applied Maths and Graphics; Level 5 Practical Project Management and Professional Development; Level 4 Computer Technology and Maths; Level 4 Professional Development; Level 4 Numeracy. Dr Hartley also supervises project work of PhD students, MSc students and Level 6 BSc students. Dr Hartley was awarded a BSc (Hons) Mathematics from University of Durham in 1991. She joined Nottingham Trent University in 1992 as a research assistant in the area of mathematical modelling of real-time systems and transputers. This led to her being awarded a PhD in 1996. Her thesis title was “Parallel Algorithms for Fuzzy Data Processing with Application to Water Systems”. 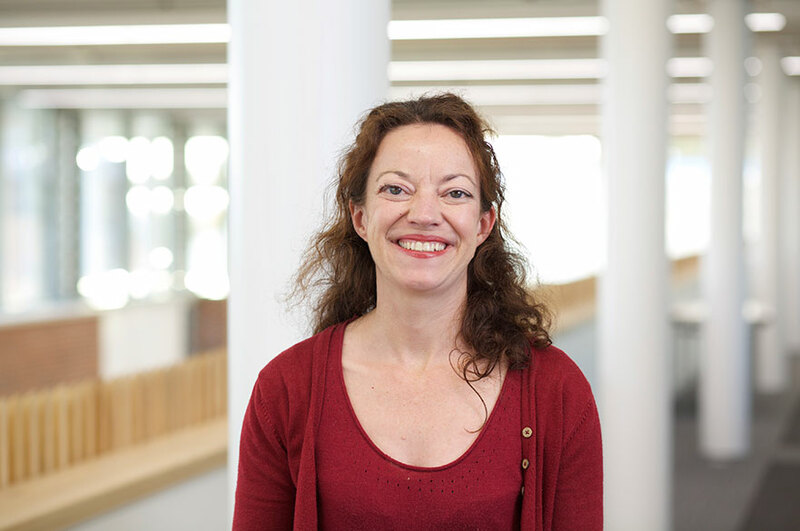 In 1995, she became a lecturer in the Department of Computing and Technology at Nottingham Trent University, and has remained at the institution. During this time, she has held a number of different posts, including Acting Head of Department in 2017/18. She has returned to her substantive post of Principal Lecturer (which she has held since 2013) within the School of Science and Technology. Dr Hartley's research interests are in the area of simulation and mathematical modelling of real-world systems, in particular traffic and travel networks (Alhoula and Hartley, 2014; Hartley, 2007). This includes the development of efficient stochastic time-dependent shortest-path algorithms for private transport (Polenta and Hartley, 2003) and scheduled public transport (Wu et al., 2005a; Wu et al., 2005b). The EU programme Models for Optimising Dynamic Mobility (MODUM) considers commuters using multi-modal transport who are faced with ever-changing conditions (caused by incidents, roadworks and congestion), and the aim is to provide a solution to the individual commuters that will result in global optimisation of the travel network. User preferences have been considered for public transport travel (Wu and Hartley, 2004a; Wu and Hartley, 2004b). In the future, user preferences and driver behaviour will be incorporated as an integral part of the decision process in generating individual optimal routes for users of private transport. Another necessary feature is the improved prediction of future travel times on urban links (Hartley, 2003a; Hartley, 2003b). Dr Hartley takes an active interest in peer-to-peer support in higher education, in particular student mentoring and leadership development (Hartley, 2008). A mentoring and student ambassador scheme at Nottingham Trent University has been developed with one of its aims being to improve the retention of first year students (Hartley, 2017; Hartley, 2009). Another initiative that has been developed is a motivational event targeted at first and second year students, involving final year students, alumni, and local companies (Hartley, 2011).